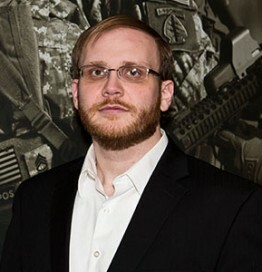 Dr. Andrew Drenner, Ph.D., is the Director of Engineering and a co-founder of ReconRobotics. His robotics interests began while an undergraduate at the University of Northern Iowa during an internship at Oak Ridge National Laboratories where he worked with robotic teams. This work continued at the University of Minnesota’s Center for Distributed Robotics where he received his Ph.D. in 2009 while working on the Scout micro-robot which evolved into the Recon Scout® XT and Throwbot® XTa. Dr. Drenner has had 2 patents issued and several pending and has published over 20 articles in internationally-recognized journals, conferences, and books.